This is Lizzy and Seth Skinner. 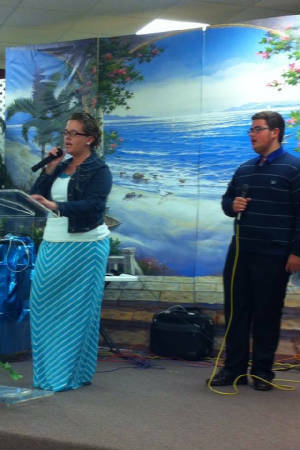 Brother and sister who came to sing for us. 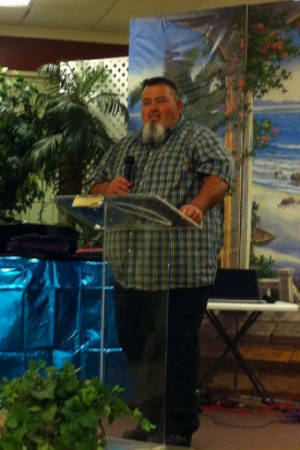 This is Gene Skinner, Lizzy & Seths Dad, he preached for us. Ministry wise , we have been busy and we have been getting phone calls to come and minister. If your church needs a concert or a speaker, or a puppet program, please give us a call and we will set up a time to come and be in service with you and your church. http://video.com/39743501 Allen Winters of Sunlite Broadcasting in Chicago, Il.,was the one who go it ready for the internet. I hope that you will enjoy the special effects in the video. 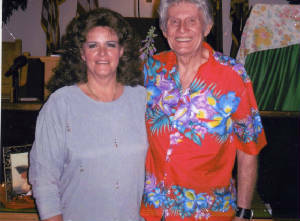 The young man who comes into the church and talks with me in the video, is my brother, Randy. Many of you have wondered what he looks like, now you will know. Let the video be a blessing!! Allen is also featuring me for several months as a special artist,,so check that out as well. 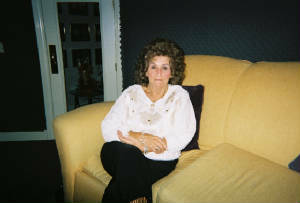 Mom writes all the songs I sing,,what a blessing,,the best Mother in the world!! Debbie and Dad. Dad drives us everywhere, safely! What a great Dad!